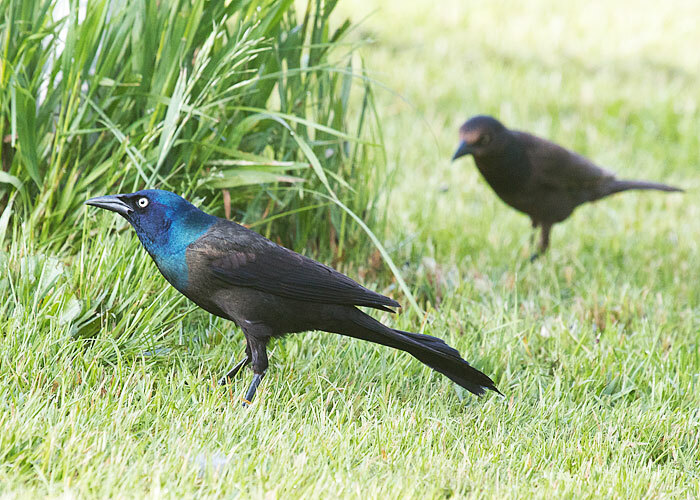 Common grackles sometimes pig up way more than their share of birdseed. And not everyone loves their "song," which sounds like metal scraping on metal. But the soap-bubble shine of the male's iridescent head makes a light show worth watching. The male has a weirdly long tail, shaped like the keel of a boat. The female is smaller, browner, and without the fancy colors on her head. If you live in the eastern half of North America, you need this book! It has superb pictures, and the introduction shows you how to identify birds.